With the changing climate of the music industry during the early 1990's, bands such as Firehouse were doomed to a life of playing club shows in front of the few hundred fans that stuck with them during the grunge movement of the 1990's. As a result, casual fans of Firehouse may only remember the band's first two albums, which were quite popular for their time. The band went on to release their third album, 3 during the mid 1990's along with an acoustic "hits" album. Both of these albums went pretty much unnoticed. After a lengthy hiatus in which the band waited out the hideous grunge / alternative rock fad, Firehouse reemerged in the late 1990's with the self produced, Japanese release Category Five. A "comeback" album of sorts, Category Five was no more than an album full of laid back, uneventful, acoustic based songs. For their next release, O2, the band migrated back to their more guitar rocking ways. The result was a mixed bag. Although there were some moments on that album that brought the listener back to the glory days of the band, there were just as many experimental moments that were painful to endure. With their latest release, Firehouse improves another notch and basically do what they do best: energetic and fun hard rock. Prime Time shows the band in fine form. The music on this album is fresh, and the band sounds like they had a lot of fun recording these ten songs. As with any Firehouse album, there are songs that stand up above the others, but I can't really point out any "duds" like I very easily could have in the band's last 2 or 3 albums. Lead vocalist CJ Snare takes a break from his duties for three tracks. Drummer Michael Foster makes his debut on Door to Door. This track takes Firehouse over the boundary from hard rock into metal. Foster has a low raspy voice the matches very well with this heavy riff driven tune: this reminds me of old, Randy Rhodes era Quiet Riot actually. Guitarist Bill Leverty steps behind the microphone for Holding On and I'm The One. The Leverty fronted tracks shows a decidedly bluesy side of the band. Holding On is the stronger of the two tracks, with its catchy chorus, while I'm the One has a strange ZZ Top flavor to it. The remaining 7 tacks are all fronted by CJ Snare, and stay surprisingly true to their roots. The down tuned guitars that the band experimented with on O2 are gone, and the guys have gone back to the fun, guitar driven hard rock that put them on the map some 15 years ago. During a couple instances, the band uses an organ in the background, which is new territory for the band. Rather than coming off as annoying, the brief organ appearances work out well for the band. The idea of rotating three vocalists behind the mike might lead one to believe that the end result will be choppy and inconsistent. Luckily, Firehouse has pulled this off with no problem as the album has a nice flow and relatively consistent level of quality to it. The sole ballad of the album, Let Go is the final track of the album. As with any Firehouse ballad, it is an acoustic based, emotional songs. However, Firehouse has set the bar pretty high as far as ballads go with Love of a Lifetime and When I Look Into Your Eyes. Let Go is nowhere near those two hits, it's just an average ballad in my eyes. Well, at least it's the last track of the album, so it's just as easy to move on to something and skip this track if that's your preference. Fans of Firehouse that didn't even know that the guys were still releasing albums will be pleased with this release. For other fans who sort of "gave up" after the last two mediocre releases from the band should find that things look a lot better with this album. Ever since the guys started releasing new, studio albums consistently again with Category Five, the output has improved with each release. 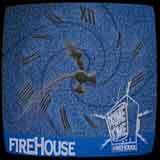 Having said that, I will enjoy Prime Time and look forward to the next installment from Firehouse down the road.